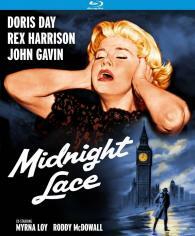 Doris Day plays Kit Preston, elegant newlywed wife of British Financier Anthony Preston. Shortly after moving to one of London's toniest neighborhoods, she is threatened by an unknown party. The tension mounts as the menacing phone calls continue and Anthony shows little concern, until Kit begins to doubt her own sanity and the motives of everyone around her.